Updated April 15, 2017 – Did you know you can still file taxes for free? Filing taxes may only take your time, not money. 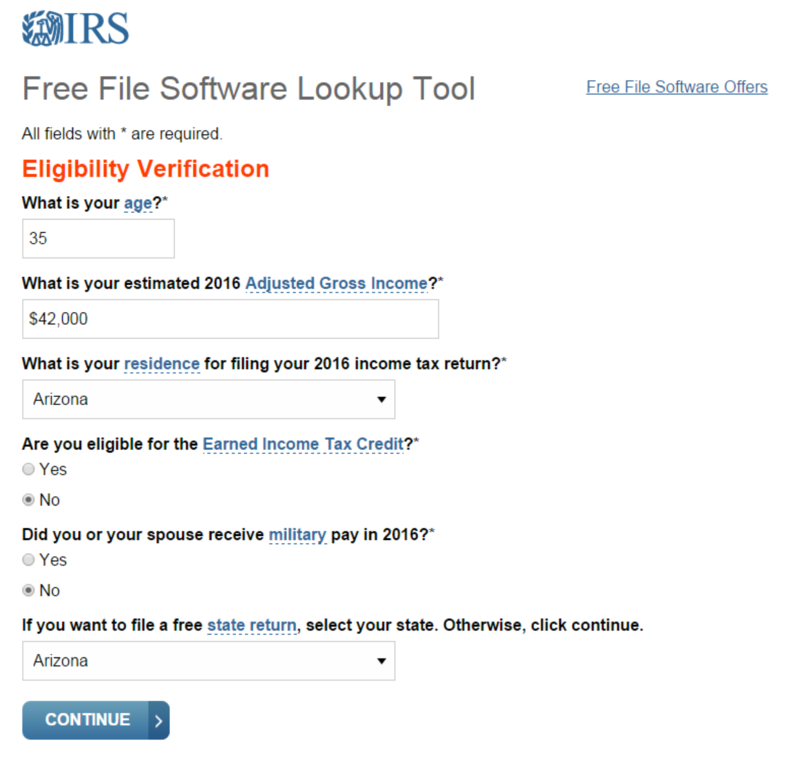 Taxpayers who made $64,000 or less can use IRS Free File tax software to prepare their federal tax return. The software also includes free state return option, but it is not available in all states. You file your taxes at no cost using one of the commercial tax preparation products such as TurboTax, TaxAct, H&R Block or ezTaxReturn. In total, there are 12 different options to choose from. In the past you had to pick the software and start the process. 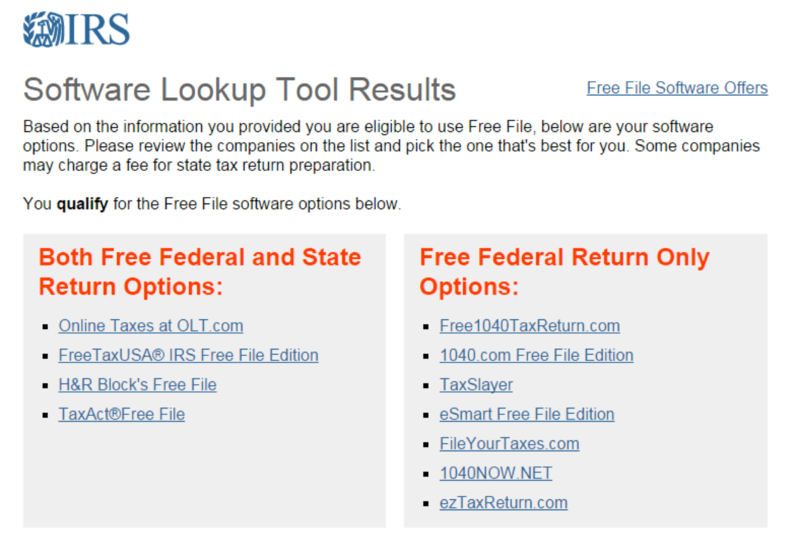 Now, you can use Free File Software Lookup Tool to narrow down your options. As you can see, there is quite a lot to select from. And if you have a prior experience using any of the software, it should make filing taxes this much easier. Individuals or families who make more than $64,000 can only access free filalble forms. The forms are electronic versions of IRS paper forms and require you to know how to prepare taxes on your own. They only perform calculations and provide rudimentary guidance. The available forms are only for federal taxes, not for state returns.